A long search hasn’t been able to locate the Malaysia Airlines flight MH370 which disappeared from air traffic control radar on March 8, 2014 while flying from Kuala Lumpur, Malaysia to Beijing, China. In January 2017, the governments of Malaysia, Australia (Australia was leading the search) and the People’s Republic of China jointly announced the suspension of the search until further credible evidence is available that identifies the specific location of the aircraft. While the tragic mystery remains unresolved, huge volumes of data were collected during the search in a remote part of the southern Indian Ocean. Australia committed to releasing the data acquired during the two phases of the search to the public, with the support of Malaysia and the People&apos;s Republic of China. 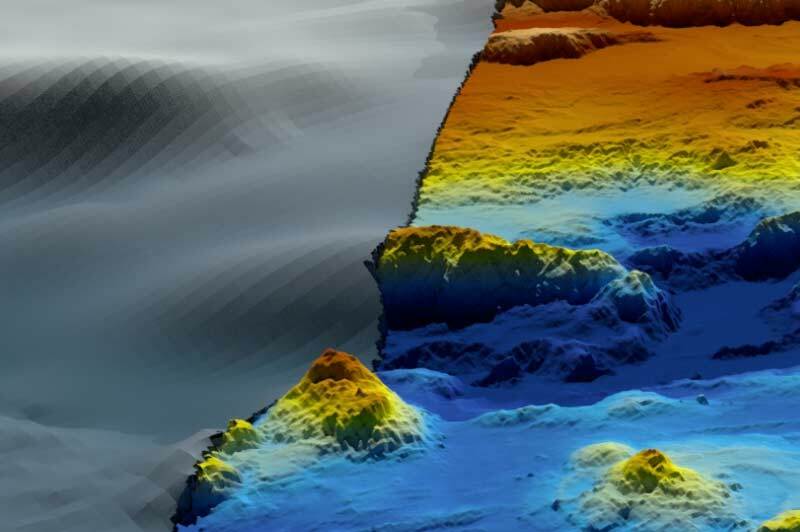 Today Geoscience Australia, which provided specialist advice and capability to the the Australian Transport Safety Bureau (ATSB) in the search, released the seafloor mapping data collected during the first phase. This Phase One consisted of a bathymetric survey (bathymetry is the study and mapping of the sea floor) and provided a detailed map of the sea floor topography in the search area. The data collected here was used to guide Phase Two, the underwater sea floor search. The search collected a total of 278,000 square kilometres of bathymetry data within the search area and 710,000 square kilometres of data in total, which includes the data acquired in transit between port and the search area. It is one of the largest marine surveys ever conducted. Existing maps of the seafloor, which are derived from satellite, are often low resolution, and only provide a general indication of water depth. Only 10 to 15 per cent of the world&apos;s oceans have been surveyed with the kind of sonar technology used in the search for MH370. The Phase One data provided maps that are at least 15 times higher in resolution than the previously available maps. Now this remote part of the Indian Ocean is among the most thoroughly-mapped regions of the deep ocean on the planet, providing data which is unique in terms of location, as well as the scale of the area surveyed. The data has revealed features on the seafloor that were not visible in the previous satellite imagery, including vast seamounts rising 1500 metres high above the seafloor and kilometres wide, deep canyons and underwater landslides of sediment that travel for kilometres along the seafloor. The approximately 1200 kilometres long Broken Ridge, created by tectonic forces more than 40 million years ago, is the major geological feature of the seafloor in the MH370 search area. While scientists already knew of the existence of Broken Ridge, the detailed bathymetry data shows distinct geological provinces north and south of Broken Ridge for the first time. In addition to the geological insights, the new data will be valuable to scientists across diverse disciplines. The data will help to identify unique sea floor features, which is important for oceanographic and habitat modelling. This data builds on the existing knowledge base of ocean floor processes which will support other areas of future research, including climate and tsunami modelling. Bathymetric data is also useful for management of fisheries and alternative energy assessments (i.e. to support offshore wind and wave energy assessments), and assessment of environmental considerations for marine geology resource management. “It was important for us at Geoscience Australia to make sure we delivered this data so that it is accessible to a range of users, not only experts,” Dr. Minchin added. An interactive story map has been launched for the public to explore the data and learn more about the search for MH370. For more experienced technical users, the Phase One data is available through two data visualisation platforms on the Geoscience Australia website, marine.ga.gov.au and bathymetry-extractor.ga.gov.au , enabling users to interrogate the data in different ways. The National Computational Infrastructure Australia is hosting the full &apos;raw&apos; data for experts to download. The underwater search in the second phase used sidescan and multibeam sonar equipment mounted on towed and autonomous underwater vehicles to collect high-resolution sonar images of the sea floor in an attempt to identify the location of MH370. An underwater vehicle descended to each of these locations where higher resolution sonar, photographic or video imagery was acquired in order to identify the features. Data from Phase Two of the search is still being processed and is expected to be released in 2018. On 31 March 2014, the Malaysian and Australian governments agreed that Australia would take the lead in the search operation in the southern Indian Ocean. The Joint Agency Coordination Centre (JACC) to coordinate the Australian Government&apos;s efforts in the search. In May 2014, the Australian Transport Safety Bureau assumed responsibility for conducting underwater search operations for MH370. Geoscience Australia provided advice to the ATSB on the procurement, technology and planning requirements for the bathymetric survey, and continued to provide expertise and support through the survey and underwater search.